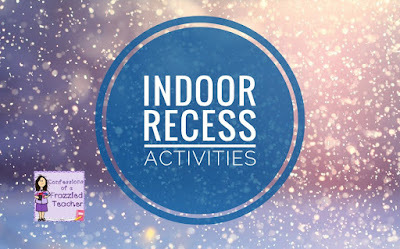 Have you been stuck inside for umpteen days of Indoor Recess? Between the Polar Vortex, snow, and just plain old ordinary cold days, there has been no opportunity for outdoor recess for us. I can't even remember the last time we ventured outside at recess. I'm guessing it was last year. This got me reminiscing on favorite indoor recess activities when I was a student. My absolute favorite (and that of every student in my school) was Penny Hockey. We would hold huge classroom competitions. There were brackets and everything. Classroom winners would go up against our principal, Mr. Gurney. Anyone that was able to beat him would be treated to a juice from the machine in the hallway. If you beat him, however, the real prize was the glory of beating the principal. 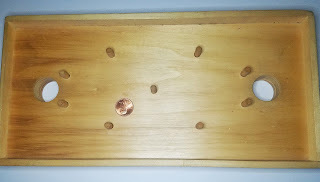 The penny starts in the middle and players take turns flicking (not sliding) the penny to get it into the hole across the way. I want to share the joy of indoor recess with my students. I definitely still have Penny Hockey! Thanks to my crafty Dad! He made us the one pictured. Now I can keep the Penny Hockey tradition alive. Here are some of our other favorite indoor activities to help keep our sanity. * Disclaimer: There are affiliate links in this post. Clicking on them will not cost you anything but will earn me a commission if you purchase anything. 1. GoNoodle - There are tons of songs and activities that get students moving. Normally I use this for a Brain Break. During Indoor Recess, I give students full control of picking the song/activity we use. I like this better than YouTube because it's made for schools. There are no inappropriate ads to worry about. GoNoodle is great for students to get them active and help them release excess energy. A cheaper alternative are the ones from the dollar store. These have a lot more pieces though. If you use them, definitely dedicate a spot in the room so students do not have to start over every time. Overall, puzzles are great for developing critical thinking skills in students. 3. Art Station - I have a spot in the room with a few shelves dedicated to art materials that the students are allowed to use. There are also all sorts of things on here. We have stickers, yarn, string, pom poms, popsicle sticks, fun paper, magazines that can be cut, etc. An art station is a must for helping students develop their creativity! 4. Board Games - Board games are always a fun go to activity. Surprisingly, the most favorite is Candyland! Technically, Jenga is not a board game, but it's another hit with my students. Board games help students build social skills and help them learn to communicate with one another. I find that the so-called Old School games are the most interesting for students! 5. Whole Classroom Activities - There are tons of games out there live Sparkle, Heads-Up Seven-Up, and Hangman (although I hate hanging anyone so we play Flower - same game concept but we build a flower). These games help include all students and definitely build social skills. 6. Misc. Activities - Some other fun things to offer during Indoor Recess include playing with Play-doh (builds fine motor skills), hopscotch (you can use a carpet like the one below or make one out of painter's tape), and hula-hoop (like hopscotch, these both build gross motor skills). Another misc. recess activity would be pulling out the centers you used in reading, math, etc. as well as dry erase boards. Students like playing school. They also like activities that have challenged them or entertained them throughout the day. If you get an opportunity, I would take students to the gym and let them run around. During our recess time, the gym is unavailable for students as classes are going. I still get them moving though. The 5 minutes before lunch, we go in and run around. It's a little bonus for my students and helps with that excess energy. 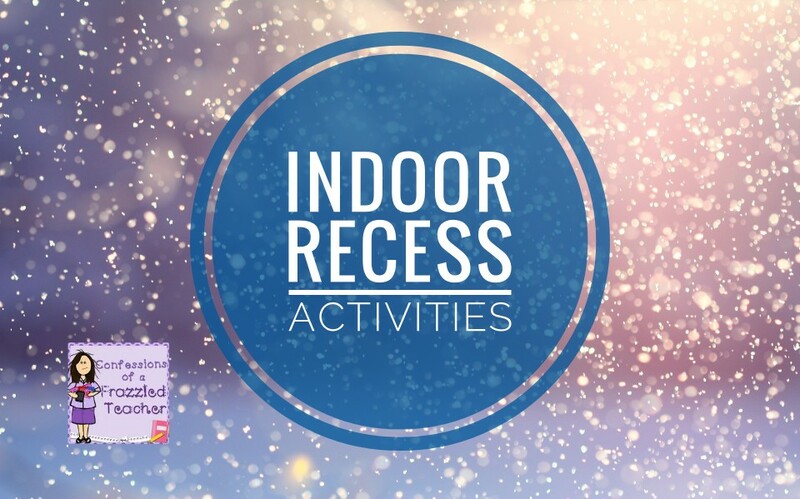 What are your favorite indoor recess activities?